Feeling great in the gut but getting tired of the ‘same old same old’ Blend11 breakfast?? Don’t let your bowel-boosting tonic get boring!! Check these recipes out! Our creative customers have shown us that Blend11 is pretty damn versatile! 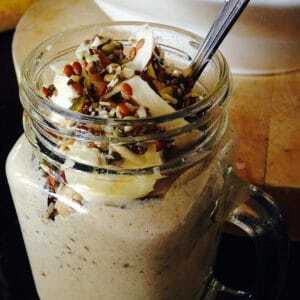 From smoothies to salads, as a topping for porridge, acai bowls or even sprinkled over eggs! 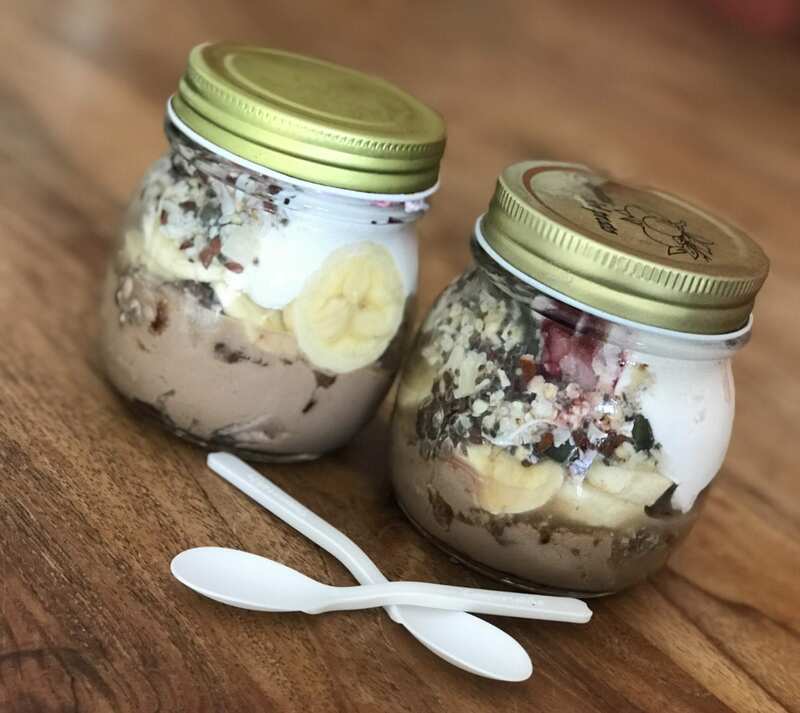 In with your regular muesli as a booster, served with something sweet for dessert……made into healthy breads, bars, balls, cakes, slices….you’re limited only by your imagination (ok maybe your budget & bowel tolerance come into it a bit too)! But definitely don’t settle for boring! Try one of these next time you’re in a food rut! Winter or not, bring warmth to your table with this epic salad. 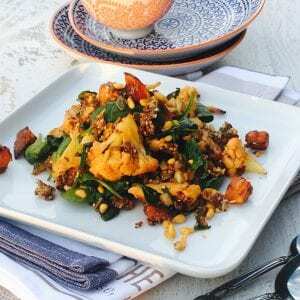 It makes a sensational side… accompanied by grilled wild caught fish, this Cauliflower salad is also rather complete in itself! 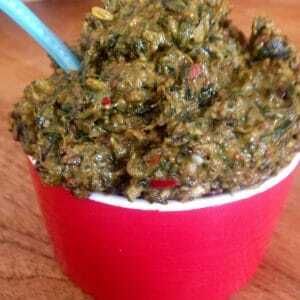 The Blend11 is so versitle and adds some serious dense macro nutrients to this pesto!! This smoothie recipe is filling, high in protein & good fats, plenty of carbs, with maca & Brazils as a special boost for the blokes. 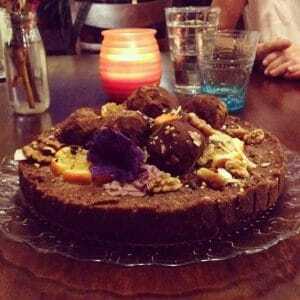 Make a choc version by adding a few teaspoons of raw cacao powder. And here’s a new recipe idea! Healthy breakkie on top, morning tea treat on the bottom. You can eat the top for breakfast, then screw the lid back on & keep the bottom for morning tea! 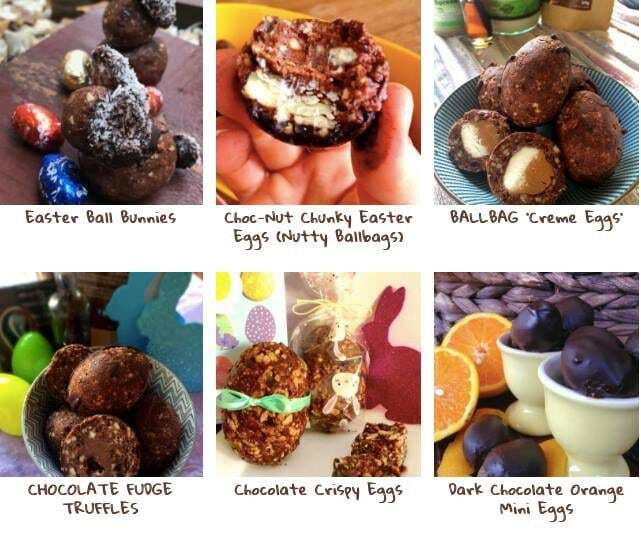 Make a few of these on Sunday evening, ready to start the work week off with breakfast & morning tea sorted! 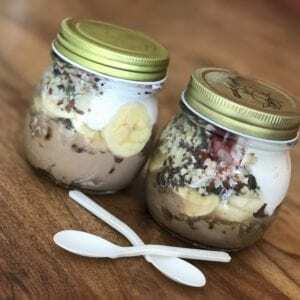 Or maybe these could be your perfect ‘post-workout jars’? Probiotics Make My IBS Feel WORSE, Not Better! If you have been battling with IBS, you may have tried pre & probiotics unsuccessfully – for some they can really help a lot, but for many they just seem to aggravate the situation. A lot of people with IBS-D (more diarrhoea) find that they get worse bloating, discomfort & loose motions when they take pre & probiotics for IBS or eat fermented foods like yoghurt & sauerkrout etc. People with IBS-C (more constipation) may feel even more bloated, blocked & uncomfortable. But why…? IBS sufferers will often test positive for ‘SIBO’ (small intestinal bacterial overgrowth), which is where you have plenty of ‘good’ bacteria – but for some reason they are hanging out in the wrong place. We want these microbial helpers to prolifically populate the large intestine, but not the small. When you have SIBO, your misplaced gut bugs break down & ferment the carbohydrates that you’ve eaten in your small intestine instead of the large. This causes excess gas production, as well as the resulting gut disturbances (bloating, discomfort, diarrhoea, constipation, irregularity). It can also cause leaky gut & all the problems that occur when you get things leaking through the damaged gut-lining into your bloodstream (ie allergies / intolerances & autoimmune problems to name a few). Depending on the balance of microbes you have populating your small intestine – you’ll have different gases produced, & you may have more constipation or more diarrhoea. Different Bugs = Different Gas = Different Symptoms. This is where it gets really interesting. Bacteria produce hydrogen gas when they ferment carbohydrates. Hydrogen gas is enough to make you feel bloated & give you diarrhoea, but then there are other microbes called ‘archaea’ which feed on the hydrogen produced by the bacterial carb-fermentation. The archaea produce another gas from this process – methane. Having high methane levels in your gut is associated with constipation. So if you have lots of the bacteria in your small intestine (but not the archaea), you’ll likely have bloating / gas / diarrhoea predominant IBS. If you also have the archaea, you’re more likely to be constipated. 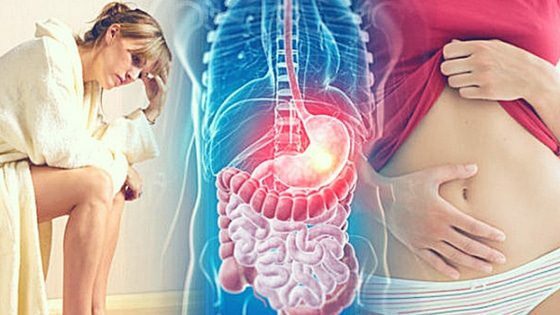 Remember also that the gut symptoms are only the tip of the iceberg – SIBO sufferers may also have immune system problems, mental / emotional disturbances, poor energy, joint inflammation, skin trouble – your gut can impact every single body system & when it is not balanced, everything else will struggle too. Remove The Bugs, Improve The Symptoms? The bugs (both bacteria & archaea) depend upon you supplying the easily fermented carbs to survive in the small intestine. If their food supply dries up, they’ll gradually die off / migrate back to the bowel. So many people have great success eliminating their IBS symptoms by starving the SIBO organisms out, & there are some who have success using antibiotics too (these will apparently kill the bacteria, but not the archaea). IBS symptoms are not fun, but neither is permanent dietary restriction! 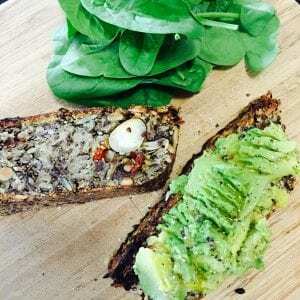 You can definitely improve your symptoms by starving out the bugs, but as soon as you reintroduce their favourite carbohydrate food sources back into your diet, they’ll be back with a vengeance – won’t they? Normally, yes. But if you can figure out & understand ‘why did I end up with too many bacteria in my small intestine in the first place?’, you’ll have a good chance of keeping things from getting that bad again. When you eat, don’t just consider the nutrition you’re feeding yourself, also consider the gut microbial impact – you need to eat in a way that helps support a balanced ecosystem. And this can vary a lot from person to person! What Could Cause SIBO In The First Place? Stress – your gut bugs are linked to your brain & emotions, in a 2 way communication. Stress can also effect stomach acid production & intestinal movement. 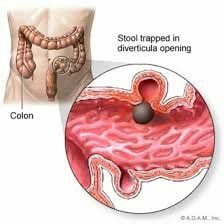 Impaired Intestinal Motility – the gut movements don’t ‘flow’ as they should due to nerve / muscular problems or medication, illness, being sedentary for long periods. Gastro infections – acute damage to your gut lining & resulting disturbances in your microbial populations can start overgrowths. Dietary choices – excess refined carbohydrates, sugars, alcohol, & other gut irritating foods i.e. gluten. 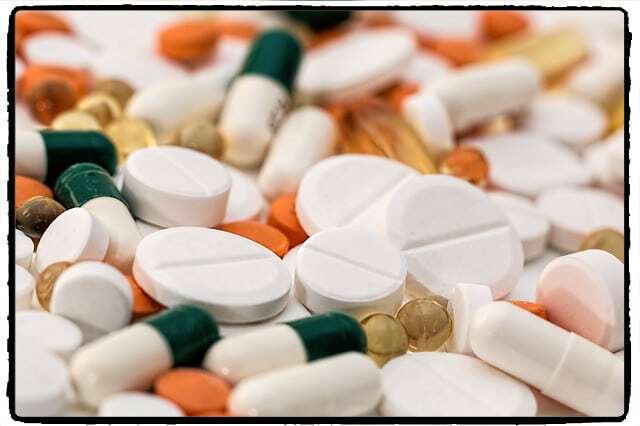 Antibiotics & other medications i.e. acid blockers – changing the gut environment & creating imbalance. Excess pre & probiotics / probiotic rich food & drink – you can sometimes have too much of a good thing. If the small intestinal environment is out of whack to begin with, the influx of bugs & their fave foods can make things much worse. Your tummy will let you know if these caps / foods / drinks don’t agree! If you suspect that your gut symptoms may be caused by SIBO, you should get tested. Ask your health professional for a ‘SIBO breath test’ to determine wether you have high levels of hydrogen & / or methane on your breath (sounds gross, but the gasses produced in your gut actually end up in your blood stream & you excrete them via your lungs (& of course out the other end when you fart!) Anyway – first step is to get the test to see if you have high levels of hydrogen & / or methane. 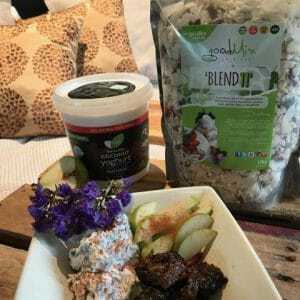 What Is The SIBO Diet & Treatment Like? You may find following a SIBO friendly diet is all you need to heal your small intestinal lining & reduce the overpopulation of bugs. Or you may need some extra assistance with antimicrobial herbs or even an antibiotic. Symptom relief can happen very quickly but long-term normalisation of the gut will take much longer, this is not a magic bullet! There are a few diets (& many variations & combinations of them) that can be used for SIBO treatment, The Low FODMAP diet, the GAPS diet, the SCD diet & the Cedars Sinai Diet are all worth exploring – but to get good results with these, please seek the guidance of a professional! You may end up disappointed & rule them out as ‘useless’ just because you aren’t experienced enough to get the best out of them. 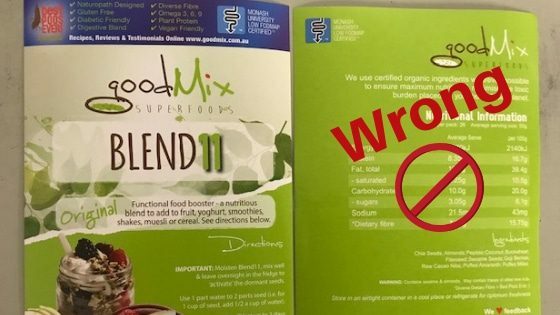 From the feedback we get, Blend11 seems to be very SIBO-friendly being very low in carbs / sugars & Low FODMAP. 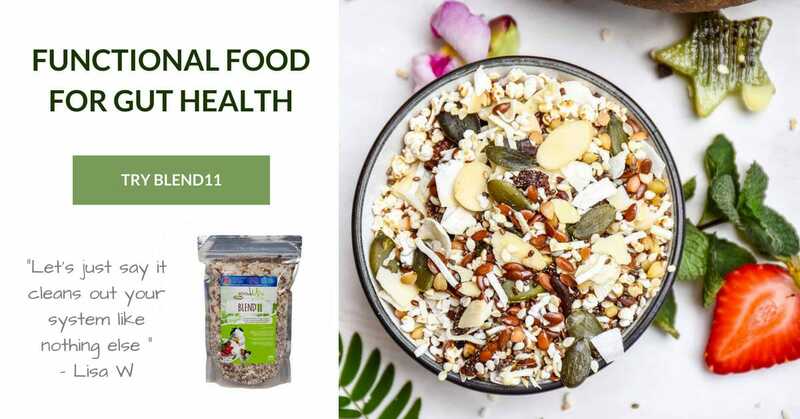 Specially formulated for anyone wishing to support healthy, comfortable digestion & metabolism, & for those following the ‘Low FODMAP Diet’ as part of their IBS management plan, Blend11 may very well help ease your symptoms. We also hear great things about the effects of Pondwater. 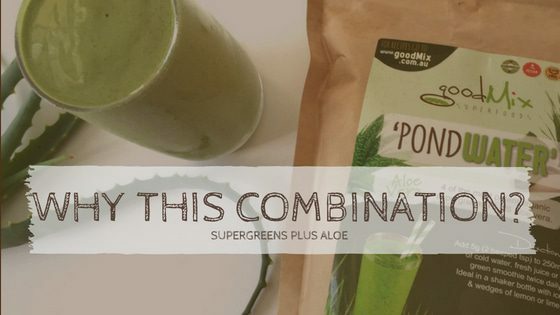 PondWater is an organic Supergreens + Aloe Vera powder supplement, which acts as a ‘selective prebiotic’ but also has anti-microbial properties & is very soothing for an inflamed / damaged gut lining. If you & your health professional aren’t getting the results you’d like with your gut symptoms, look into the possibility of SIBO, especially if you’re one of those people who can’t tolerate probiotics for IBS symptoms. If you have any specific questions on probiotics or the effects of probiotics for IBS or SIBO, just send me an email and I’ll try and help further. Please can somebody make our mummy lives easier by taking all that crap food off the shelves??!! Please stop making it, selling it & advertising it to our kids! It causes us a lot of premature grey hairs & wrinkles, fighting with the kids over what they can & can’t have, & trying to explain why. Not fun for mums – or kids! Just get rid of it = problem solved!! Imagine saying to the kids when they ask “Mum, what can I have to eat?” “Darling you can have anything you feel like from the shop / fridge / cupboard / tuck shop / foodcourt”. Bahahaha!! If only! Imagine if they didn’t even have to ask – you just knew & could trust that everything out there designed for human consumption was good for them, cos that was the law / requirement in order to sell it, & there were no more food battles. Sigh. Life would be sooo much easier! What if we could make every mum’s job easier by taking away all that food stress? She could relax, knowing everything available to purchase for her family was basically nourishing. Shopping would be a breeze…& mealtimes…just imagine it! THIS IS HOW IT SHOULD BE! We need a strong system in place for regulating the ‘food’ that ends up in our supermarkets, trolleys, tuck shops, pantries, lunch boxes & tummies. Education & the star-rating system (lol) is not enough – we need something tough in place higher up the chain to take the pressure off mums, & put it onto the food producers & sellers. We know the damage cigarettes are doing us (the pics are all over the packets), yet we can still go buy them – ludicrous! Who makes that kind of decision?? Are we going to start seeing graphic health warning pics on the front of chip packets as we’re packing kids lunch boxes?? But still be able to keep buying them?? Come on – we need better standards around what is allowed into our food supply, & to just get rid of the stuff that is not serving us! Is the $$ earned through the sale of these products really worth the cost to our country in healthcare & lack of productivity that come as a direct result of allowing this crap onto shelves for purchasing? If the government can financially incentivise families to increase vaccination rates, surely we can consider rewards for parents doing a good job of feeding their families well & keeping them healthy in other ways? Or a financial slap for the families who aren’t making any effort? What about support for the food stores & companies trying their best to produce & sell ‘actual food (definition = “nutritious substance that people eat or drink in order to maintain life and growth”). And making it difficult for the unethical companies to keep churning out their cheap, unhealthy pretend food? 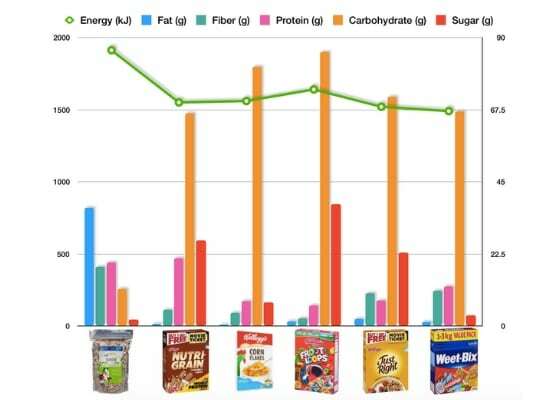 Sadly – the percentage of ‘edible stuff’ in the average Aussie food shop that really ‘maintains life & growth’ is low!! Stand at the supermarket register for a few hrs & take a look at the crap going through. The only growth it’s maintaining are our waistlines & the bank accounts of the food & pharmaceutical giants. I see so many poor kids walking around with their seemingly uneducated or unconcerned parents, & I often wonder ‘is that kid gonna feel like sueing her mum when she grows up, for all of her diet-induced health issues?’ I think in many cases, the answer will be yes! In this country, in this day & age – it is parental negligence to not make an effort with your kids diet. The problem is that it shouldn’t be that hard for parents – much of the effort required is because fake food is everywhere now – it has become the norm! These kids are not given a chance to live a long & healthy life & reach their potential. They will struggle from childhood, & for their entire life will pay for the negligence of their food providers during those important growing years. Not fair, & not good enough!! Surely the massive cost to the Australian taxpayer of caring for the obese & unwell adds up to a figure worth doing something about? Shall we build a fence at the top of the cliff now?…or just keep the ambulances flowing to the bottom?? Pass me a cigarette & a softdrink, while I make a free appointment to see my Dr (taxpayer’s shout) for my heart disease, cancer & diabetes!!! Insanity. My Mother’s Day gift idea = mum’s of Australia unite vs whoever we need to battle to make this change! So our daughters & grand daughters don’t have to deal with the food-stress induced grey hairs & wrinkles! Who’s with me on this one mums? What do we want? LESS CRAP ON THE SHELVES!! When do we want it? NOW!! What food solutions do you need? What would make your life easier…we’ll try to make it into a product & get it out there! Love to hear your good food ideas – what causes your family the most food stress, & strategies you’ve come up with to decrease food stresses! Alarm goes off – Rise & Shine! You’re up before the sun, bleary-eyed & packing the esky with your cold tasters (prepared the night before) & coconut yoghurt, loading it into the car (where your market kit is already packed from the day before. The early commute at least has no traffic – you grab some ice on the way & the petrol station guy knows you from the time before, & the time before. You drive in, unload everything from the vehicle in the almost dark & start the set up process. 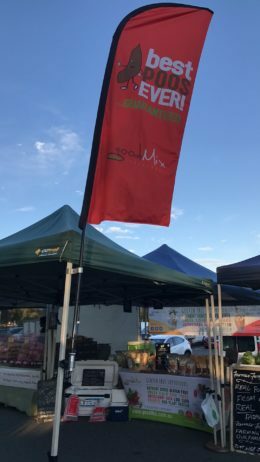 Gazebo, tables, cloths, stock, signs…getting everything into place & looking pretty…in approx 40mins, you have yourself a fully functional, temporary ‘shop’ with sampling station. Dawn is breaking – phew. It’s coffee time!! The earliest shoppers are starting to wander in, empty trolleys dragging behind them. 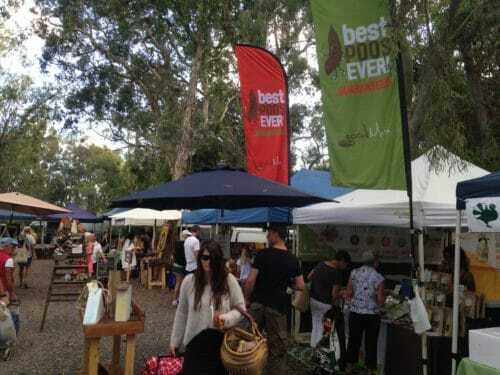 You walk back to your stall, sipping your locally roasted coffee, chatting to your fellow stallholders along the way & maybe grabbing breakfast & a few bits n pieces as you go, before the rush hits. It’s slow for another half hour or so – just a few regulars…these shoppers know what they want & they stock up & get out quickly – you’re lucky if you’re on their list. The early crowd is upon you, you greet the familiar faces, catch up on their week & exchange goods for cash. It builds from here until the sun is high above you, your till is overflowing with notes, & your tables & esky are almost empty. That’s on a good day. A bad day might mean – your till looks exactly the same as when you arrived, your tent is soaked, some of your stock is ruined, your shoes, socks & even your undies are soggy…but you’re still having a laugh with your neighbours, you’ve got your weekly fresh groceries (cheaper & fresher than you could buy anywhere else), & you are thankful that you can at least pack your bags at the end of the day & bring your stock back to sell at the next market. Some aren’t so lucky – the fresh produce has to go. You feel sorry for the farmers & buy heaps. Smoothies, pesto, guacamole, freeze things, cook things…give some away…can’t miss the rainy day specials! Organise the fresh purchases, pack them away carefully into your half empty stock boxes, cold things into the esky & start dismantling the temporary shop, loading the vehicle with everything, much less neatly than it was before – in your rush to get home. You get home, & the day is not done yet – the stock goes away, counted & ready for next market, the groceries into the fridge, the till counted & recorded. You did ok…a days work done, made a profit, got your shopping done, stocked the fridge…& it’s still only lunchtime. …finally, relax – time to have a rest! Or clean the house, take the kids to footy, do the mowing, catch up with a mate, lie in the sun, go for a swim…the day is only half done! You feel kinda like a zombie…but you can catch up on sleep later! Does this sound like you? The market gig is definitely not for everyone, you need to be just a teensy bit crazy – & pretty tough to do it long term. We have some patchies who’ve been doing it for more than 3 years now, rain hail or shine – but we also have some ‘gaps in the market’…so get in contact if you think you might like to fill one for a little while…or maybe even a long while! Happy to have a chat anytime – see more info at the link below. 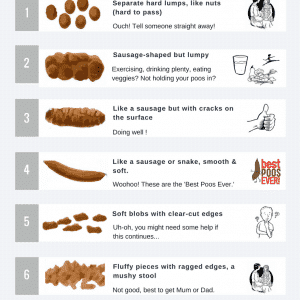 Constipation in Babies & Toddlers – 8 natural tips! Is your baby or toddler suffering from constipation? 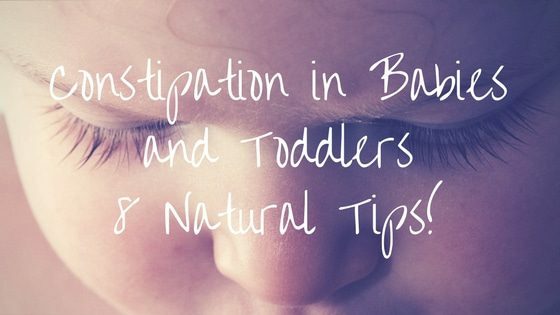 Here are 8 great, natural and easy to follow tips to help prevent or manage baby and toddler constipation. Helps to form the healthy internal ecosystem your child needs for good digestion, & immunity. Do it if you can, & you will have WAY less issues with constipation than what is likely with formula fed bubs. It’s an investment that will pay off down the track – if you can’t breastfeed, look for the formulas with prebiotics. infections, as the vast majority are viral – not bacterial. When we give a child a course of antibiotics, we are actually wiping out much of their natural defence & compromising their immune system greatly – so next bug that’s going around (i.e. Monday morning back at daycare), will be much more likely to cause them problems. It is a vicious cycle, & daycare centres & antibiotics should be avoided wherever possible by those wanting to look after their children’s gut health (& therefore general health). Obviously go by your health professional’s recommendations & don’t ignore infections – BUT, please – if your Dr still prescribes antibiotics readily for childhood infections, you need to find a new doctor!! Damaged gut bacterial populations are a big cause of baby and toddler constipation, diarrhea, bloating, & IBS in both kids & adults…not to mention more cold & flu’s. This is often a tricky one with little ones! 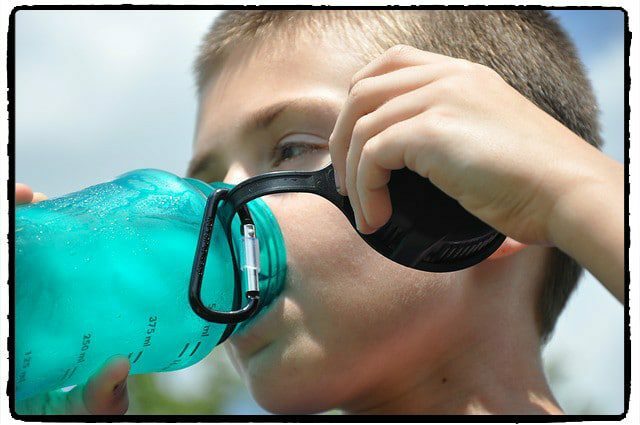 Use a special cup (you may want to invest in a new one every few months if that makes a difference to the fussy drinker, or have a rotation system – either way, give them their own special bottle, cup or straw that they love to drink from – it can really help you to monitor fluid intake as well as encourage busy kids to drink on the go! In warmer months use smoothies, fresh juices (with veggies, not just fruits), coconut water, icy fruit slushies, frozen smoothie ice-blocks etc to help prevent baby and toddler constipation. In winter use soups, hot drinks like lemon & honey tea or yummy herbal teas like liquorice, hibiscus, rosehip, healthy hot chocolate or carob drinks (carob has no caffeine so ideal for younger kids, but is nice & sweet). uts, seeds, legumes, & some whole grains if tolerated well to help avoid baby and toddler constipation. 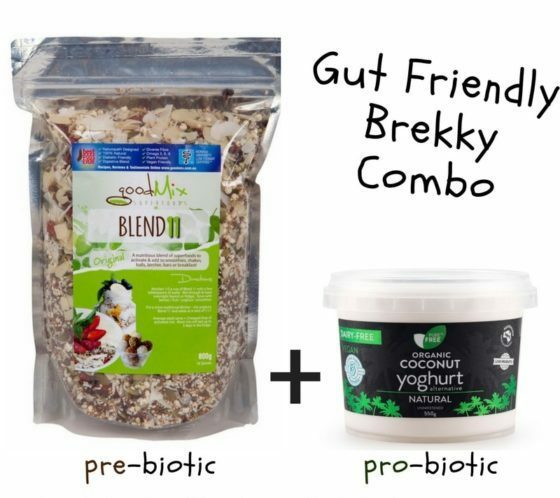 (Blend11 or NeoBlend are easy & go well into yoghurt & smoothies to increase the diversity of daily prebiotic fibre. Make sure each meal or snack has ‘something for the bugs’ as well as for the kid! 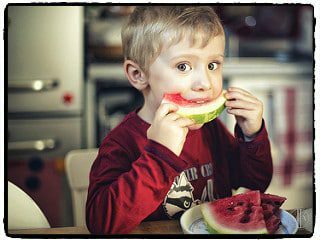 For the extreme fussy eater, try chopped fruit in jelly cups (as a first step), hiding blended veggies in things like bolognaise sauce etc, ‘ice-cream’ made from frozen fruits etc, small amounts of dried fruits – dates & apricots are great to make bliss balls etc. For the kids used to a more natural diet, they can eat pretty much anything adults are eating – smooth pasty baby food is a big mistake to rely on, as kids will not get used to the different textures of fibrous foods – they really need to be eating some of what mum & dad are eating (mum & dad obviously need to eat well as an example – get over your own fussiness!). For babies & toddlers up until around 2.5 years of age, bifidobacteria is the dominant & most important strain of good gut bacteria – these guys are vital to ‘set the stage’ for a healthy gut microbiome all through life. Babies born via caesarian & those who’ve been predominantly formula fed will have much lower levels of these good bugs than those born vaginally & breastfed. A good baby / toddler specific probiotic with bifidobacteria can really help to correct the balance & prevent baby and toddler constipation! Just one episode of painful constipation can make toddlers scared to poo next time around & thus start to ’hold it in’, which makes the stool become harder (more moisture is reabsorbed by the body the longer the stool is ‘waiting’ to come out, so it will become less moist & therefore more painful to release). One hard poo can quickly become a bigger issue with fear of passing motions due to pain really complicating a physical problem with a mental aspect as well! Do not take constipation in little ones lightly – jump on it at the first sign to avoid escalation! 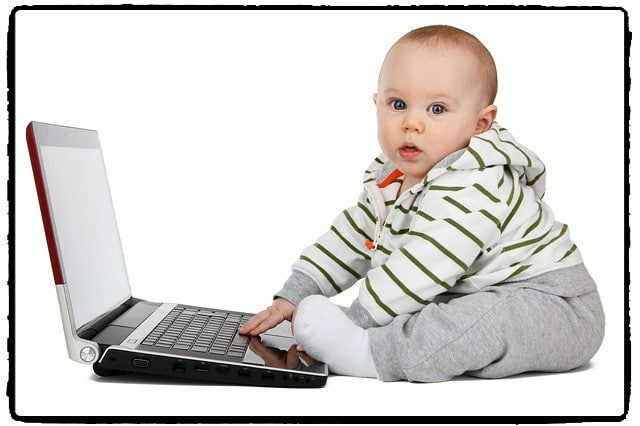 The TV & the i-Pad may be great free babysitters – BUT – it is completely unnatural for a toddler to stay motionless for the long periods of time they do whilst watching TV / playing games. You will just about NEVER see an awake, healthy toddler sit still for 2 hrs at a stretch, but put them in front of a device / TV & they become instantly immobilised! Very tempting for parents to have a break, but also I believe a big potential contributor to digestive problems – exercise / movement is essential for healthy appetite & digestive function (& for good health in general!). Keep screen time to an absolute minimum, kids need to move & learn to use their bodies & brains – not be sitting in front of screens motionless & un-creative. 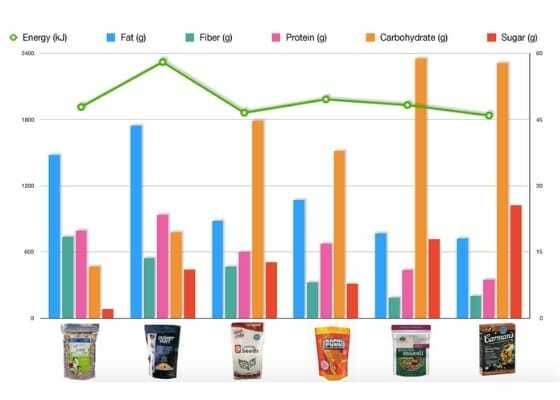 Good fats are awesome kid foods – they provide loads of calories to satisfy the constant hunger that fast growth can bring. Nuts, seeds, coconut, grass fed meats, oily fish, pastured eggs, organic full fat dairy – all of these provide loads of nutrition for growing bodies, & the fats help stimulate the liver (bile secreted when we consume fats acts as a natural bowel stimulant, & fats & oils provide important lubrication to the stool to ease it’s passage). Do not be scared of fats – our population has gotten sicker & fatter since the ‘low-fat’ approach to diet became popular / recommended. LOW FAT IS DEFINITELY OUT, the research that led to its introduction was wrong. Google Mary Enig – fat guru, ‘Big Fat Lies’ (book that explains it well), ‘The Cholesterol Myth’…there is heaps of info out there. Blend11 & NeoBlend are chock full of the healthy fats we need. Breast milk – keep your supply ‘there for when you need it’ as long as practically possible. If you have the ability to breastfeed easily, DO IT, & keep it up as long as you can as your milk is the absolute best gut tonic for your child – it’s full of good bacteria, as well as the prebiotics (food for the good bacteria) to help establish a healthy internal ecosystem for life. Even after weaning onto solids, it can be great to keep expressing once daily just to keep an ‘emergency supply’ in the freezer for use in case of sickness or antibiotic use – or just as a general tonic added into their solids even if you no longer wish to be ‘breastfeeding’. 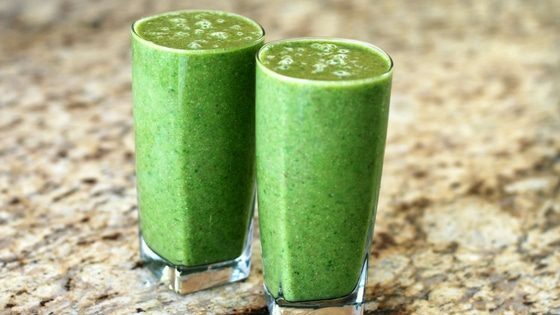 Green smoothies – hide kale & spinach using things like pineapple, banana & berries. You may be surprised how well kids take to a small (not overwhelming) serve of ‘hulk juice’ or ‘frog juice’ (or whatever you think will appeal). Great to use peer pressure when introducing things like this – invite some more ‘experimental’ / less fussy kids around & just make one for yourself, offer all the kids a shot glass or similar – then increase from there. Start yummy, increase veggies gradually. Straws can really help too. 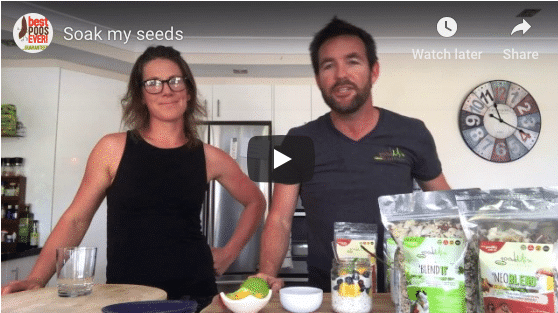 Coconut oil based raw treats – I’ve been told by many that eating coconut oil helps with regularity in older folks (some swear by it) – the same just may be true for kids & it’s so easy to incorporate into healthy, yummy raw desserts etc. See our recipes for some ideas to get you started. For constipation prone kids try dried figs, dates, prunes, apricots, pears (or bliss balls made using dried fruits as the binder / sweetness). Kids tend to love these ‘sugar bombs’, so don’t go overboard! Canned peaches, pears, pear juice, prune juice…fresh is best but go with where the child is ‘at’ to get out of trouble. Pear in particular is high in a natural laxative, once again – don’t go overboard or you’ll end up with a sweet tooth! LOVE to hear what has worked well for you guys – please share any useful tips with other mums & dads that have helped prevent baby and toddler constipation for you! Is Kale Really More Super Than Broccoli? Acai, quinoa, kale, matcha…every week there seems to be a new trending superfood these days! 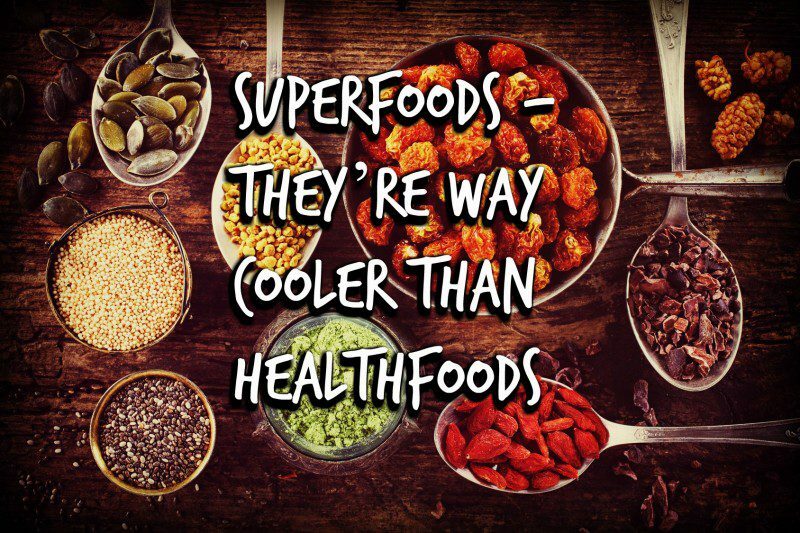 This type of thing (a food with loads of nutritional and / or medicinal benefits) used to just be known as a good old ‘health food’ – to be found in a health food shop – but now they all seem to have been re-branded as SUPER, & be jostling for the crown of ‘No 1 superfood of the year’. 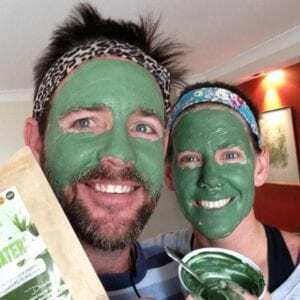 Will our health stores soon be called Superfood Stores? Or should they divide them up into the regular healthfood side & the top shelf ‘superfood’ side, with front & centre shelf space assigned to ‘what’s hot this month’? Where to put everything would be a nightmare – I remember back in 1998, in first year naturopathy nutrition class we were given a list of ‘superfoods’ which included organic oats, broccoli & blueberries (seemingly mediocre foods that pale in comparison compared to the exotic trendsetters of today…do they even still rate a mention – or meet the criteria?) Broccoli vs Kale? 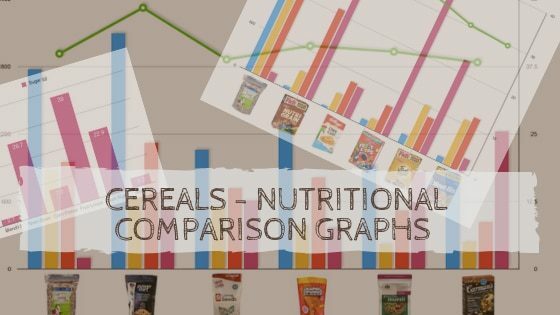 Oats vs quinoa? Goji vs Acai? I think we all know a lot of it is in the marketing & in ‘which celebrity is eating what’! Anyway – whatever you want to call them, & whoever is promoting them – you will now be able to order quite a few healthy-superfoodie things online with your goodMix products, because we have them just sitting around & waiting to be ‘goodmixed’ into a batch of something! So anything we use as an ingredient, you’ll be able to purchase separately as well – things like maca powder, natural whey or pea protein, chia seeds, cashew pieces, dried apricots, desiccated coconut, hempseeds…whatever we use as an ingredient we can also now also bag up & sell separately online (no fancy labels, it’s a budget operation). We win because we can order greater volumes of ingredients – to help keep our end prices low, & you win as it might save you a trip or two to the shops if you can just order online a few super-staples for the pantry with your goodMix. Year 9 woodwork students need to start building their mum’s ’superfood racks’ for the kitchen instead of the traditional spice racks….we need them all lined up next to the blender, ready to go! 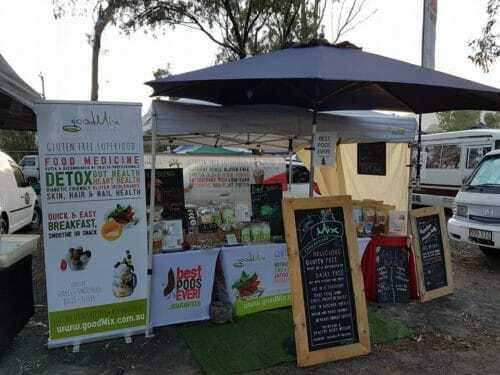 Most of our available ingredients are certified organic, but we do use a few that aren’t, so please feel free to email me: jeanie@goodmix.com.au & ask any specific Q’s you have prior to placing an order. We will often choose conventional Aussie grown if the overseas product looks a bit worse for wear by the time it arrives here, or we feel that the local quality is much better, & some products would not be possible / viable if all ingredients used were certified organic – i.e. the dates in our BallBags are conventional as the price difference to use organic is unfortunately too great – but our apricots are certified as the pricing makes it possible (& it would be unthinkable to use the apricots with preservatives all over them!) We use conventional dried bananas now in the NeoBlend & fruity BallBags as they are sooo much fresher & yummier than the overseas organic ones – & they are preservative free & grown just up the coast. Basically we shop for ingredients like we do for our groceries – support organic growers wherever possible, support local farmers wherever possible (we do trade farmer direct as much as we can), & always be looking for the best quality ingredients at the best prices. Our ideal would be to always buy certified organic, locally grown, farmer direct, ingredients at rock bottom prices…but you might end up with a pretty boring breakfast…& we might end up not having a business to support any of them! PS – if you are an Aussie organic farmer, (or know one) who might like to grow something (super) healthy for us to use as an ingredient in future products – please get in touch, the possibilities could be huge! At this time of year we tend to go a bit overboard guzzling chocolates of dubious quality & end up feeling crappy as a result. 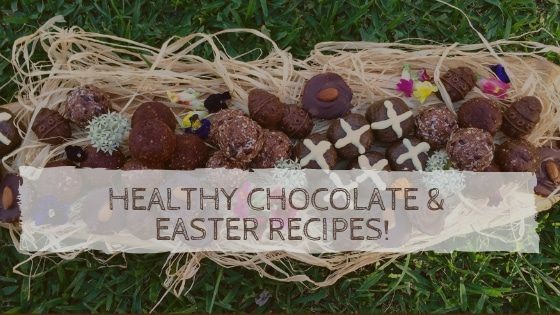 Sugary supermarket chocolates do absolutely nothing good for your health, but don’t forget the massive health benefits to be found in ‘the good stuff’ – raw cacao – these can make you feel amazing! Cacao provides some truly awesome antioxidants, called polyphenols. They were once thought to be indigestible & poorly absorbed in our digestive systems, but really – all we need to utilise them is for our trusty good gut bacteria to break the choccy polyphenols down into useable bits. Cacao is an awesome prebiotic food, which means it actually provides food for & promotes the growth of some all important friendly bacteria – namely the Lactobacillus & Bifidobacteria that are found to increase in number when we eat / drink it. We also see a decrease in some of the nastier gut bugs when eating cacao regularly (well rats do anyway, & that’s good enough for me to justify my regular dark choccy / cacao habit)! So basically – (quality) dark, raw chocolate or raw cacao is good for your gut bacterial balance, which results in many other good things happening as a result. 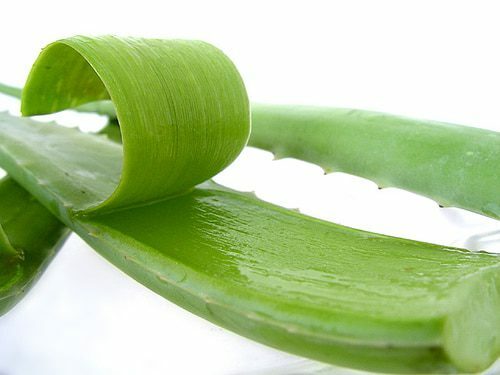 Things like improved metabolism, weight loss, decreased inflammation, healthier blood vessels & heart, more youthful looking skin…..the list goes on. So if the gut bugs want chocolate, don’t deprive them!! Just make sure it’s quality, & not full of sugar (excess sugar will destroy your bacterial balance, and cause many other issues)! As a guilt-free treat you can have ready to go in the freezer – try making these Dark Chewy Choc-Top Fruity Bars They are high in fibre, & will give you a dark chocolate prebiotic fix! (They can also be made into eggs for Easter, or balls, logs, or any other shapes you like).